A good quality of hair-styling tools are definitely a great investment. Cause nobody loves bad hair day, don't we? For me, as a fashion and beauty blogger, hair is really important to highlight my entire look. In that case, actually I'm quite picky about my hair-styling tools. I always looking for the one that is easy to use, also able to give a natural and long-lasting curls without damaging my hair in the long run. Recently, I just received a lovely package - VODANA Hair Diva Combo from CHARIS, directly from Korea. 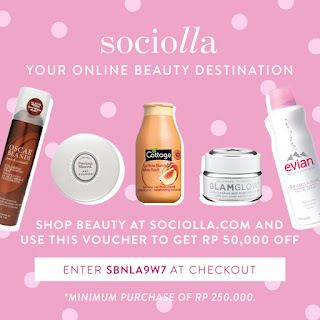 If you are not familiar with CHARIS, its an K-beauty online store that offers fast worldwide shipping, and currently they're also available in Indonesia! 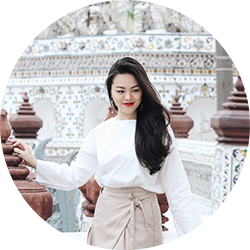 From the website, you also can read the product review as well as recommended products from CHARIS CELEB, including me and directly buy from my PAGE for discounted price. 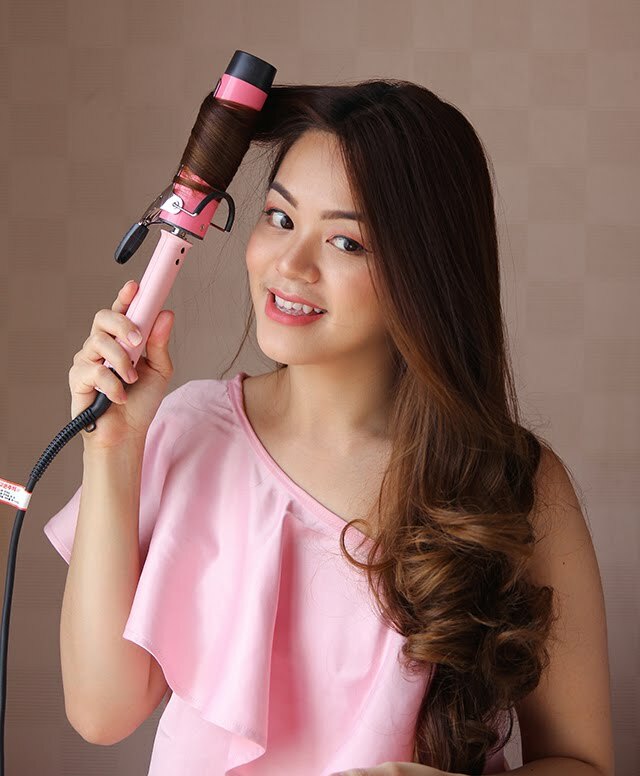 This Glamwave Curling Iron from VODANA is available in two different size, 36mm and 40mm. I got mine in the size 40mm, cause I want to create a bouncy, natural, voluminous and glamorous curls. 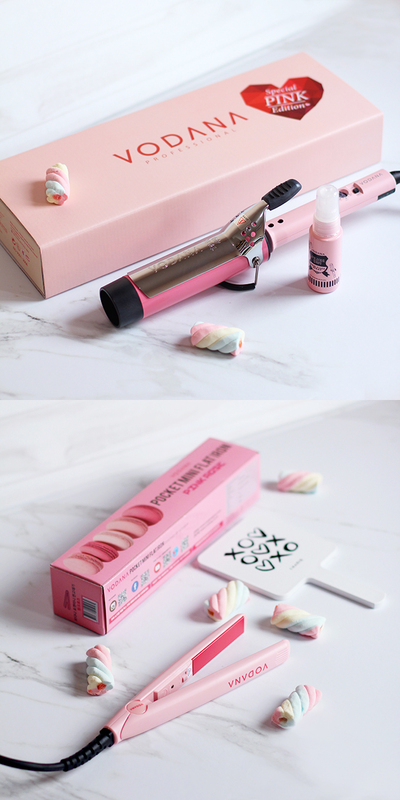 From the first impression, I'm in love with how cute and pretty this curling iron in pink colour. - The handle and cover, to fit the hair tightly on the barrel so the heat will be transferred evenly. - Made with high quality material that enables fast and smooth styling to create more natural look and minimized the hair damage. 1. Take a small section of the hair and start wrap it around the curling iron till the hair ends. 2. Keep the hair on the curling iron for about 10 seconds, then release. 3. Continue to curl until all the hair done. 4. Remove the curling iron and allow the curl to cool. Then, lightly shake the curls out with fingers just to loosen and add more volume. 5. 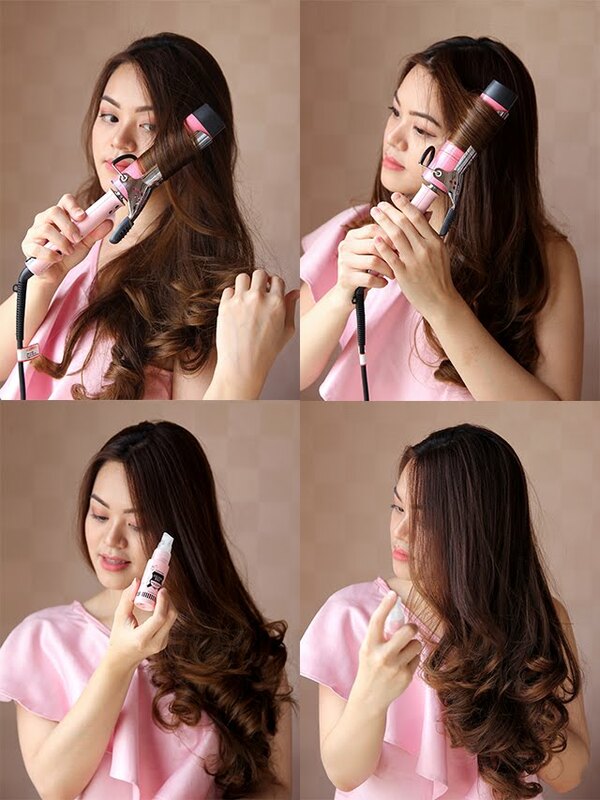 Finish up by spraying the hair fixer, to get a long-lasting curls. FYI, it might be not recommended by most of people, but I'm always set the curling iron temperature at 200 degrees C, cause it makes my curls stay all day! For everyday hairstyle, I love to use flat iron. Cause from my experience, the result with flat iron is more long-lasting than curling iron. 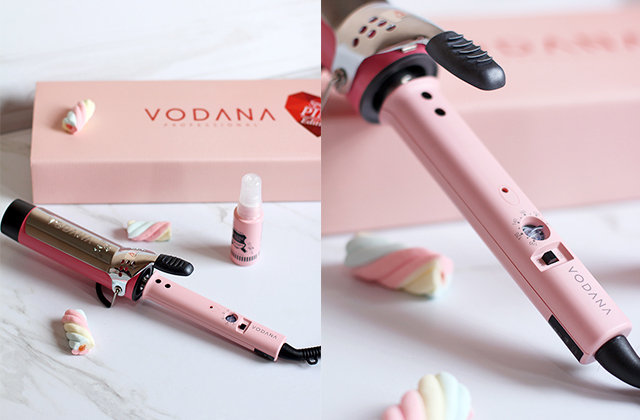 VODANA Hair Diva Combo also include flat iron in pocket mini size (25cm). Its available in two pretty colours, rose pink and mint choco. I got mine in rose pink colour. 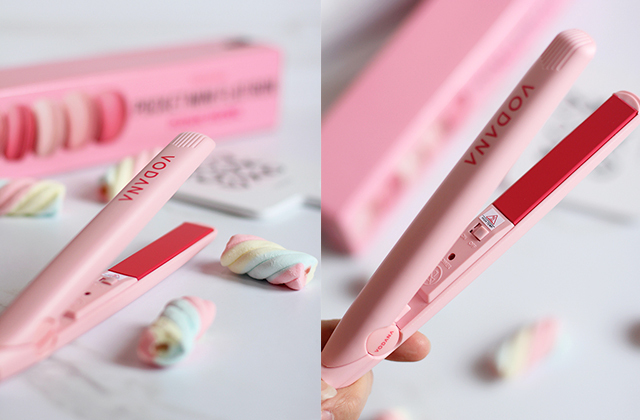 I love how small and adorable this flat iron and just perfectly fits my pouch so I could style my hair anywhere anytime! - Ceramic coated plate, to prevent from damaged hair. - Heats up really fast, only take 30 seconds. 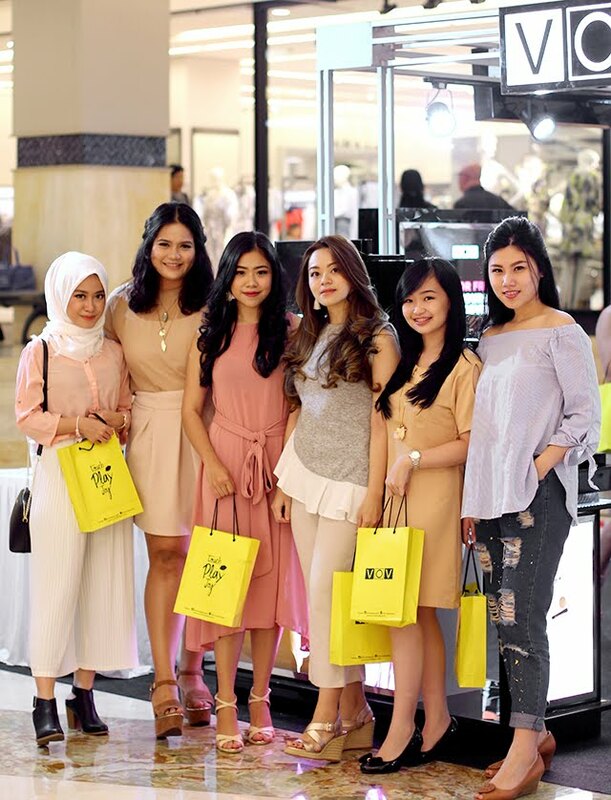 From the last event about The New Launching of VOV Mineral Illuminated Makeup and Korean Makeup Demo with Clozette Indonesia, I had a privilege trying out some of VOV Mineral Illuminated Makeup products that I'm going to review in this post. And in case some of you missed out or not familiar with the brand VOV, its a K-makeup brand by LG Household and Healthcare Company in South Korea that provides high quality, chic and trendy makeup. 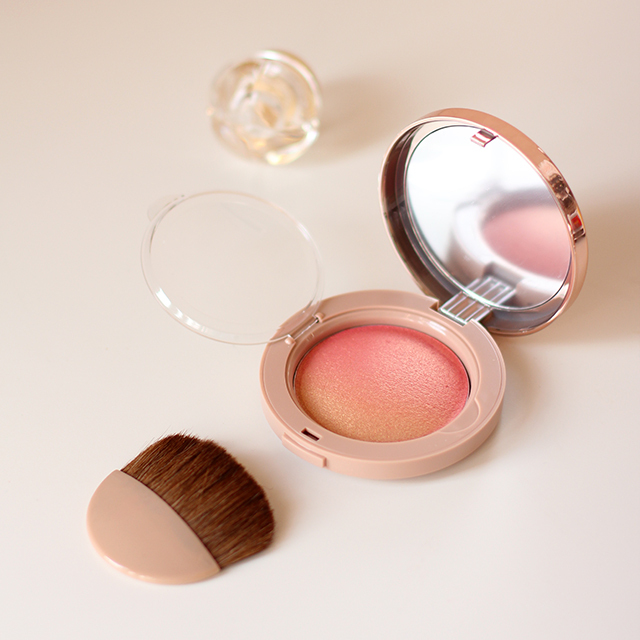 In this post, I'm going to review VOV Mineral Perfecting Metal Cushion (21 Light Beige) and VOV Mineral Illuminated Shimmer Blusher (01 Blending Coral). VOV Mineral Perfecting Metal Cushion is a foundation with mineral properties that is able to nourish the skin, gives extra-glowing and healthy-looking skin all day long. It also safe to use for every skin types due to its natural formula. This VOV Mineral Perfecting Metal Cushion available in two shades: 21 Light Beige and 23 Natural Beige. I got mine in the shade 21 Light Beige, and luckily it just perfectly suits my skin tone. I love how it naturally blends on my skin, gives a high-coverage yet feels very lightweight and so much long-lasting. Another thing I'm quite impressed is the new innovation of the packaging, it comes with metal plates that is able to keep the content fresh, clean and hygienic. I found this VOV Mineral Illuminated Shimmer Blusher is kinda different from a regular blusher, it has a colour gradation in shimmery. 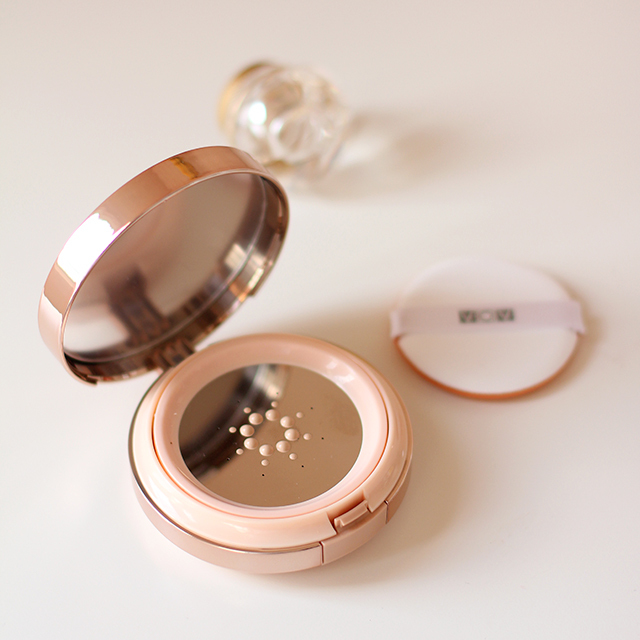 The packaging is so classy in rose-gold colour, comes with brush and transparent lid just to cover the content so the shimmer won't easily fade. 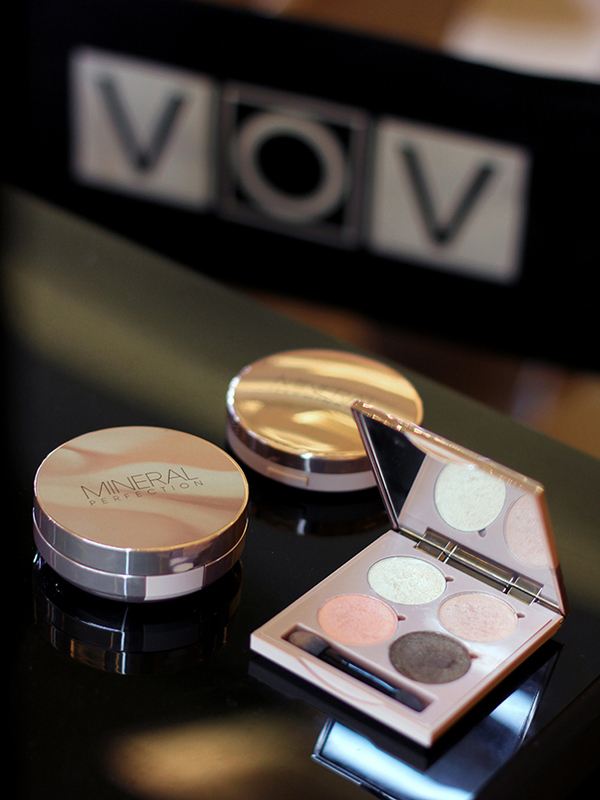 VOV Mineral Illuminated Shimmer Blusher are available in two shades: 01 Blending Coral and 02 Blending Rose. Both of it has a pretty gradation from the combination of 20 different colours. In result, it gives a bronzing and highlighting effect. 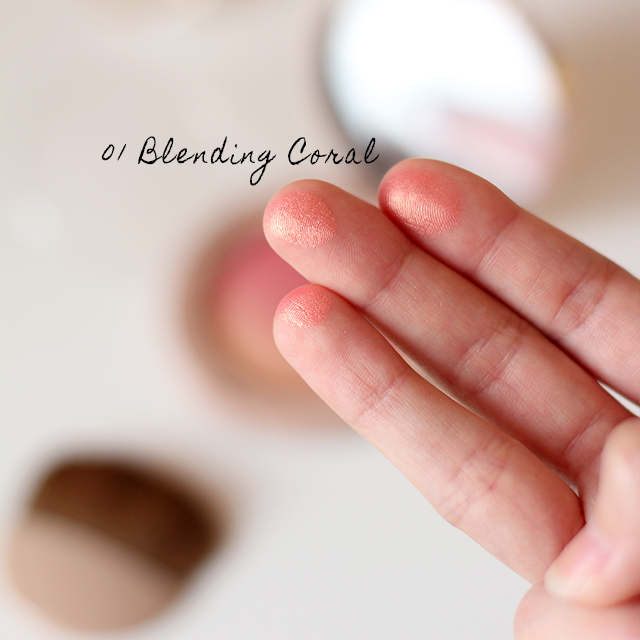 I got mine in the shade 01 Blending Coral, it such a perfect colour to create a summer looks since it gives a perfect warmth and sun-kissed touch to the face. The formula is incredibly amazing, it uses only natural products which made it safe to use for every skin types, even the sensitive ones. In terms of the texture, its very buttery and lightweight. However the colour actually didn't really popped out when I first swatch it on hands. But its clearly popped up on my cheeks in just a single swatch. So I could tell this is super pigmented and easy to blend. I'm just totally in love with how it makes a pretty gradation on my face.. Bronze, blush and highlight all in one! To sums up my review, I'm highly recommend these VOV Mineral Illuminated Makeup to create a natural and glowing looks. 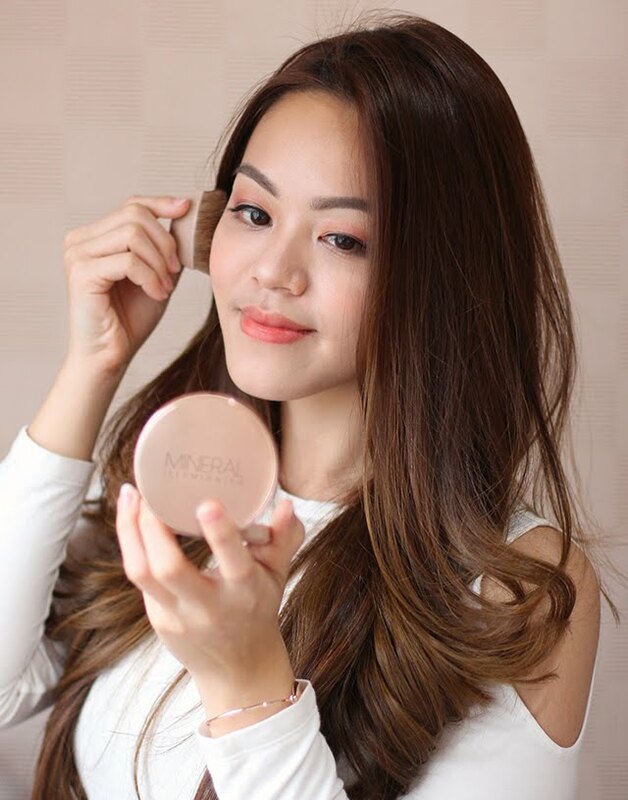 You can use the cushion that is really practical and give the best result as your favorite foundation. 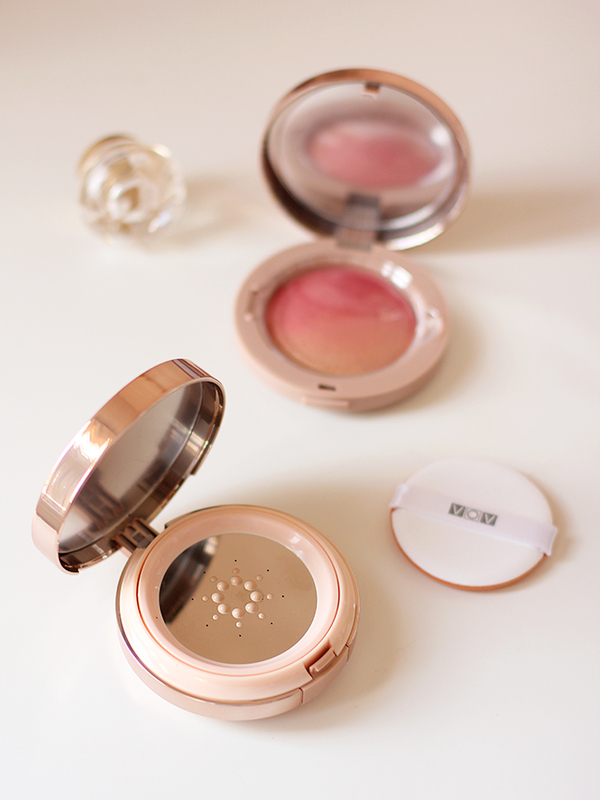 Also adding the blusher to give a bronzing and glowing touch to the face! Try and grab them at VOV Counter, or simply go to Webstore VOV Indonesia to grab them right away. On April, 23rd 2017 - I attended the new launching of VOV Mineral Illuminated Makeup, along with a Korean Makeup Demo: "Dramatic illuminated colors just for your perfect glowing make-up look". A little bit background about VOV, its actually a K-makeup brand under LG Household and Healthcare Company from South Korea that provides makeup products that is high quality, chic and trendy! 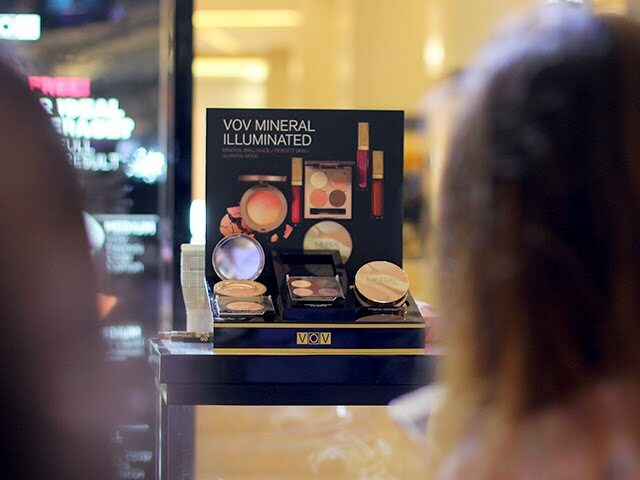 From the makeup demo on that day, basically the MUA showed us how to create glowing Korean makeup looks by using all the VOV products, including VOV Mineral Illuminated cushion, blusher and eye palette. VOV Mineral Perfecting Cushion is kinda different from VOV's regular cushion. Apart from the added mineral properties that gives a high-coverage and nourish the skin, the packaging is really unique. It comes in a metal plates that covers the content so it stays fresh, clean and hygienic. Then moving on to the eye palette, VOV Mineral Illuminated Eye Palette has two different choices (01 Blending Neutral and 02 Blending Edge). Both of it has four attractive colours, shimmery and high-pigmented formula that gives a HD (High Definition) result! Then finally, the look was completed with a touch of VOV Mineral Illuminated Shimmer Blusher, it also has two different choices (01 Blending Coral and 01 Blending Rose). Both of it has a nice gradation that creates shading and highlighting effect on the face. I'm totally in love with the result. Its glowing yet still wearable for daily look. 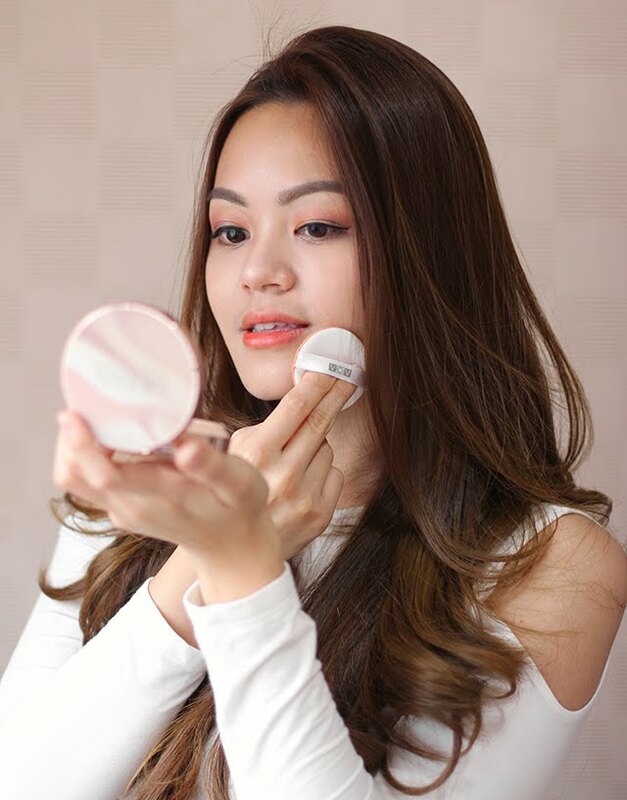 VOV Indonesia also kindly let me try VOV Mineral Perfection Metal Cushion and Illuminated Shimmer Blusher, read my complete review HERE! Once again, thank you so much VOV Indonesia and Clozette Indonesia for inviting me. I really had a great times meeting new friends and learnt new skills.